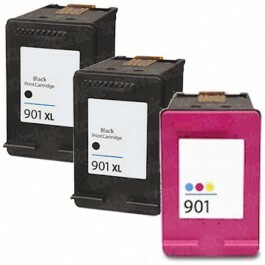 ComboInk HP 901XL / CC654AN High Yield Black & HP 901 / CC656AN Color (5-pack) Replacement Ink Cartridges (3x Black, 2x Color) will replace your original equipment manufacturer (OEM) cartridges for a fraction of the cost. 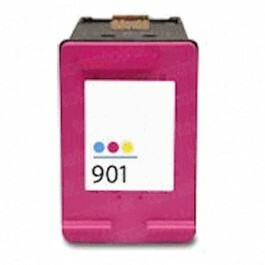 Our remanufactured printer cartridges are professionally engineered to meet the highest quality and performance standard (ISO-9001). 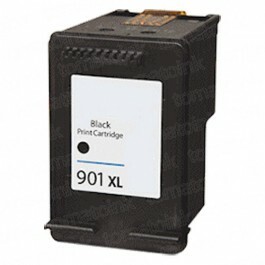 We also inspect our ink cartridges to be leak-free and have no print head nozzle clogging prior to stocking. 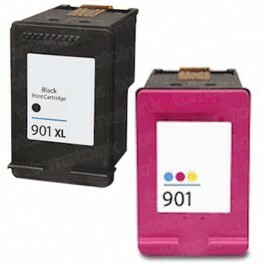 Using our reliable, discount HP 901XL / CC654AN High Yield Black & HP 901 / CC656AN Color (5-pack) Replacement Ink Cartridges (3x Black, 2x Color), you'll get vibrant, high-quality results from your printer. Plus you can shop with confidence knowing that ComboInk inkjet cartridges are backed with a one-year money-back guarantee.